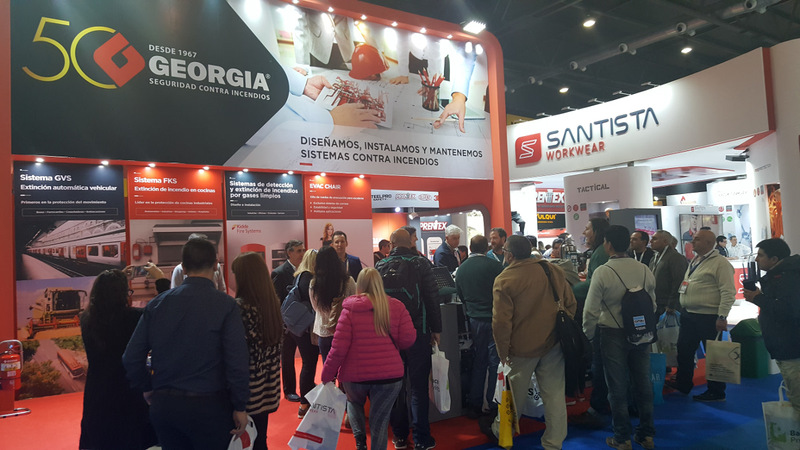 FirePro partner, Matafuegos Georgia, recently participated in the Intersec Buenos Aires Fire Protection & Safety Exhibition, which took place in Argentina on 29th to 31st August. 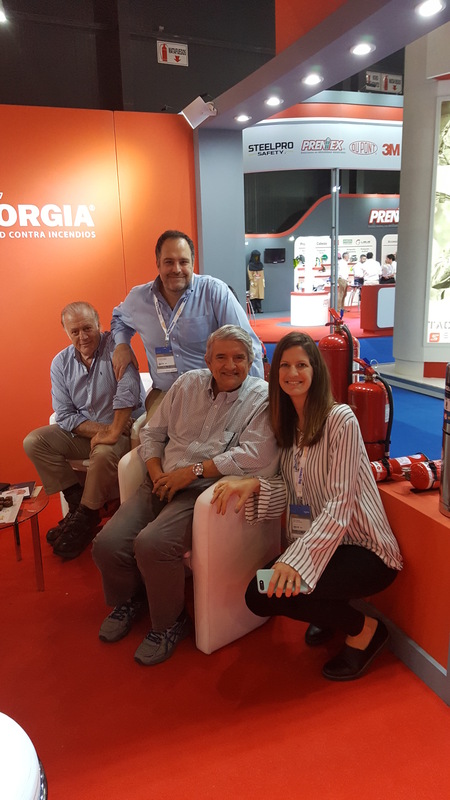 Matafuegos Georgia is one of the best-known companies in Argentina specializing for the past 50 years in Fire Safety and Suppression Systems. 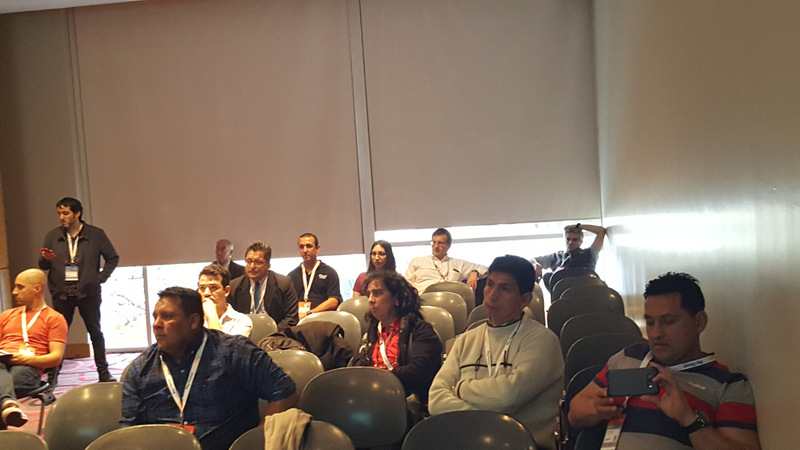 It employs more than 230 people and is a distinguished partner of FirePro. 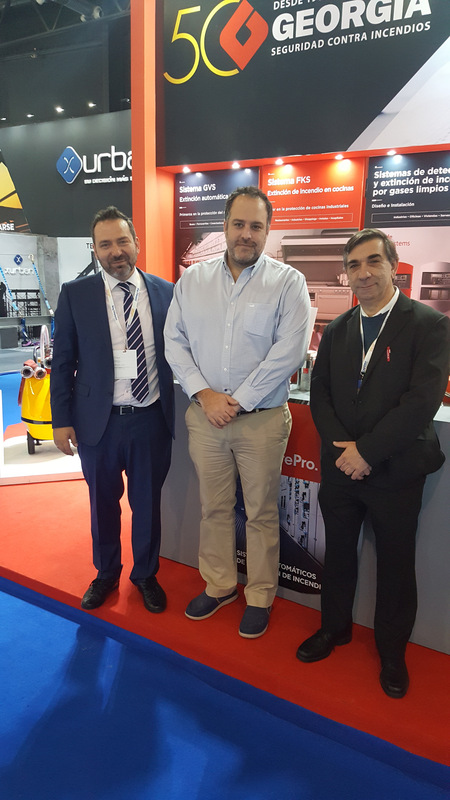 During the exhibition, the Matafuegos Georgia Management, Sales and Engineering teams were joined by FirePro Business Development Manager Mr. Nikolaos Argyropoulos. 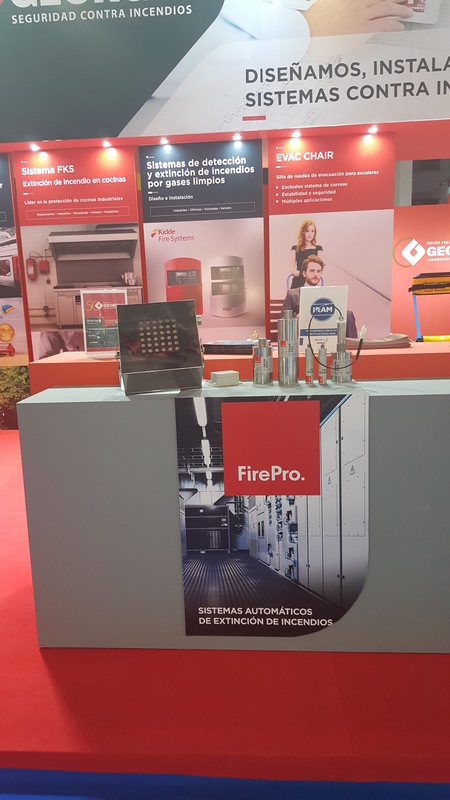 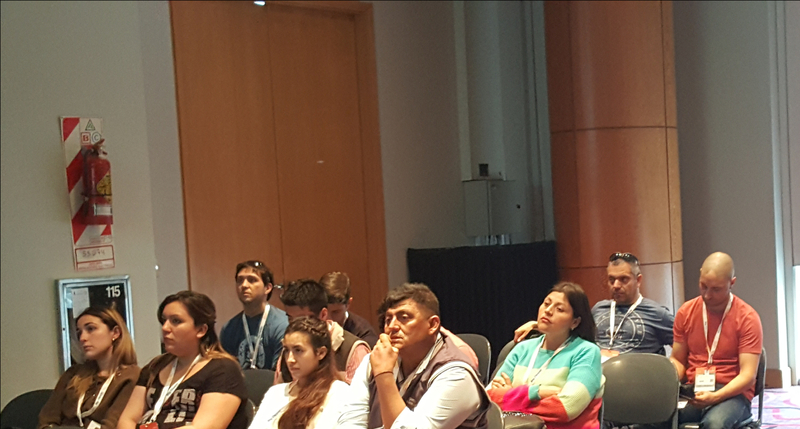 They presented to visitors from different sectors, including public, industry, retail and agriculture the innovative FirePro technology and its competitive advantages. 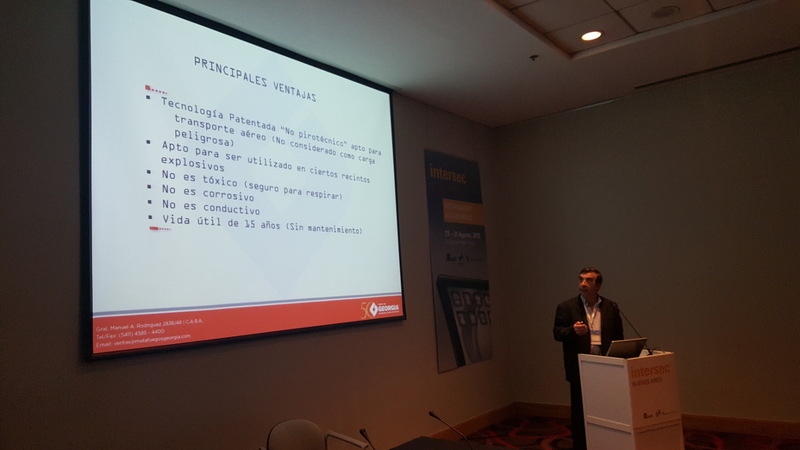 Moreover, Eng. 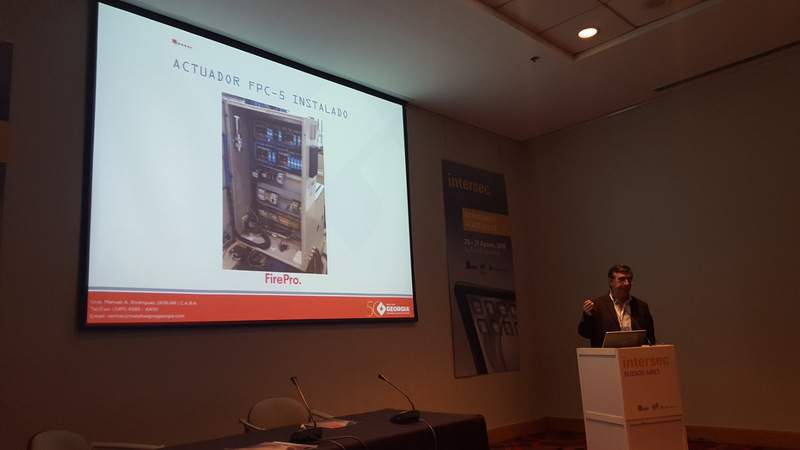 Jorge Bonanno of Matafuegos Georgia made a special presentation of the FirePro products and solutions to an audience of participants that included Mechanical and Electrical engineers, Health and Safety Engineers, Distributors and potential customers. 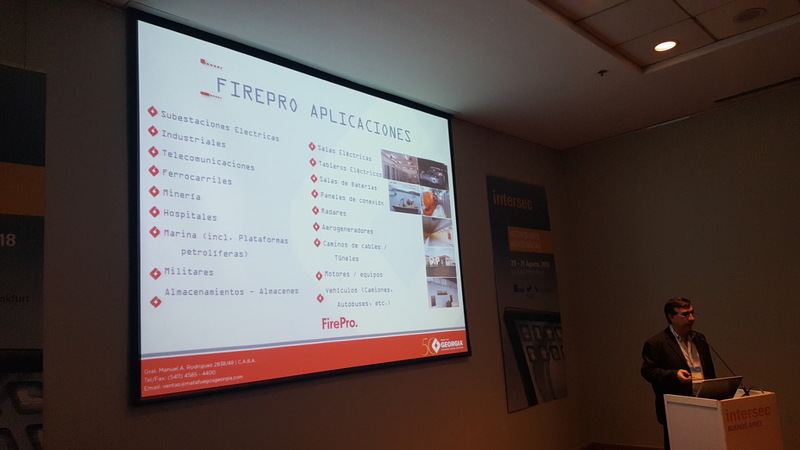 FirePro wishes to thank Matafuegos Georgia for its outstanding presentation, dedication and continued efforts to build the FirePro brand image throughout all the market segments in its Territory.